Ah yes, the Greenbaum sisters. They were a very popular music group years ago. Originally from Yanipikitroff Russia, they settle in Storrs, CT, then moved to South Carolina. They gigged at contra-dances, an occasional bris, and weddings. They spent their winters north of Napa county in California where they were the house band at Harbin Hot Springs. 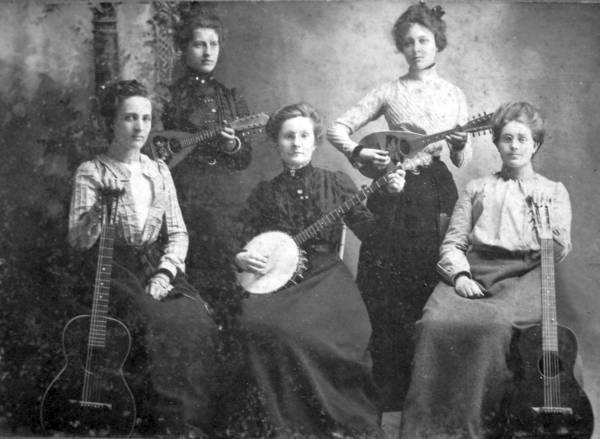 Anna, the banjo player, was rumored to be the finest bialy maker and Sasha, the violinist, changed her name to Fred. Fred opened a store that sold model railroads in Oakland CA.